Jerusalem Pizza (Home of the Pizza Pie Sliced into Thirds) Has a new shellfish neighbor trying to take over their storefront. Traif, or not to traif? That is the question. "TK's Jerk Shack Coming Soon"
Oy vey is mer ! Bubba Gumps Pizza And Saadiah's Shirmp Hut! 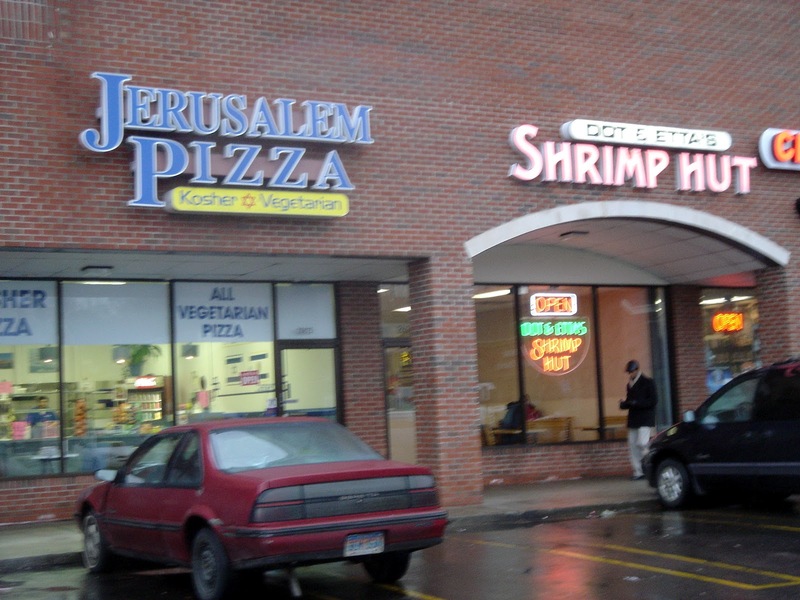 Please remember to patronize our Kosher Michigan restaurants? "Living Large" next to "Small Potatoes". Vive la diferance! Cholesterol City.